A mostly paranormal and urban fantasy book review blog, with a bit of mystery, history, and spice thrown in from time to time. I received the omnibus edition of the first three books in this series from NetGalley in exchange for an honest review. 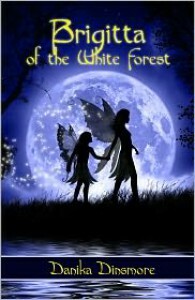 You can see my combined review at https://www.goodreads.com/book/show/23126475-faerie-tales-from-the-white-forest-omnibus.